Dear Evan Hansen star Ben Platt, who recently picked up a pair of Broadway.com Audience Choice Awards, stopped by The Late Show with Stephen Colbert to catch up. The star who earlier this week became the youngest actor ever to win the Drama League Distinguished Performance Award gave some insight into the heartbreaking performance he is giving onstage at the Music Box Theatre eight times a week. One element Colbert was especially impressed by when he saw the show was Platt's ability to go from crying directly into singing. "Sing after you cry," encouraged Platt, who went into technical details that may prove to be the singing tips of the year. 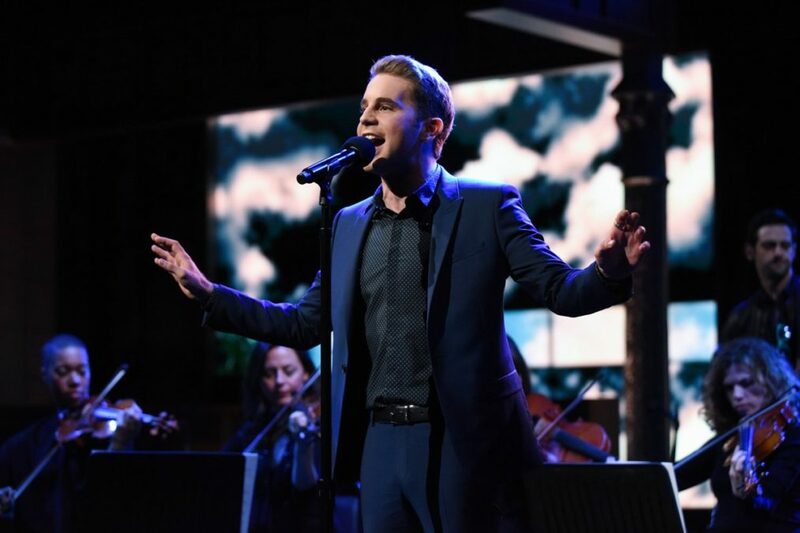 Platt closed out his appearance with a performance of the musical's gorgeous song "For Forever," and if that weren't special enough, Platt told Colbert, "This is actually the first time I've ever sung the song outside of the context of the show." Grab some tissues and watch away.